Summer + Fresh Berries = Happiness. 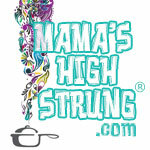 Mama doesn’t know why she feels this way. I don’t have any gauzy berry-picking memories from my childhood (strawberries don’t grow in the desert) and most of the berry pies I’ve made have been disasters. 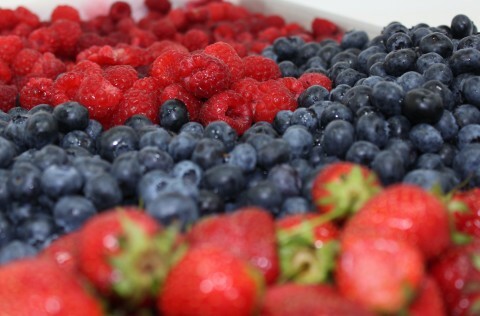 Maybe it’s because fresh, locally-grown berries in the market mean one thing: summer is here! You can buy berries in supermarkets pretty much all year long, which I think is a little sad. When they are so readily available, it makes them seem less special, and besides, store-bought berries hardly ever taste like they’re supposed to. There is something deliciously beautiful about fresh summer berries, handpicked or found in a farmer’s market. I think they taste like a promise that the coming days will be sweet and warm… bursting with possibility. Raspberries, strawberries and blackberries are wimps… they are pretty and delicate and don’t travel real well…kind of like a newborn baby. So, buy only what you plan to prepare or eat that day. Blueberries are a little heartier and can even be frozen. When you buy fresh berries, give them a rinse with cool water and lay them out on a baking sheet lined with paper towels or a clean kitchen towel to dry. I don’t like refrigerating my berries because the natural flavors seem to disappear(but sometimes I have to if I’ve gone overboard and bought too many). Drew and Sistie made a simple shortcake and whipped cream to go with the berries I found in the market. I used to toss the berries with sugar, but now we just eat them naked, as the kids like to say. So easy. So delicious. So summer. Rinse the berries and lay them out on a baking sheet to dry. Hull the strawberries if necessary. Mix the Bisquick, milk, 2 Tbsp. of sugar, butter and ½ tsp. vanilla until a soft dough forms. Drop 6 spoonfuls of the dough on an ungreased cookie sheet. Bake for 10 to 12 minutes. Meanwhile, whip the cream until soft peaks form. Add the remaining 1 Tbsp. of sugar and ½ tsp. vanilla and beat for 1 minute longer. 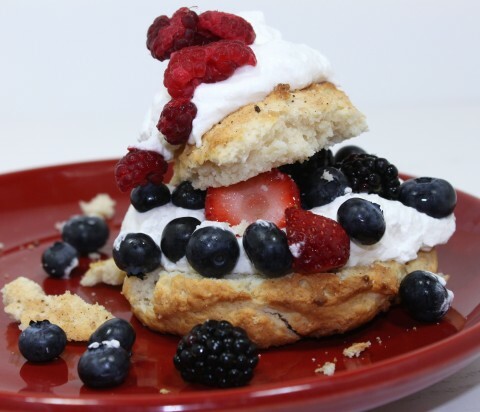 Split shortcakes and fill as desired with berries and whipped cream. Serve immediately. Yummy-pie. We like to sprinkle a little sugar and cinnamon on top of the shortcakes to give them a slightly crunchy texture with golden brown flecks… not that anyone will see it under the mountains of whipped cream!